I love to travel. I am not happy unless I am planning a new adventure, returning to a beloved city, or blazing a trail to somewhere I have never been before. 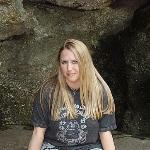 My favorite places in the world are London, New Orleans, Disneyland, and Salem, Massachusetts. I also love to write about everything and anything to do with travel. I have penned travel guides for TripAdvisor on Jamaica, Nassau, Charleston, Savannah, Nashville, Punta Cana, Kissimmee, San Juan, Panama City Beach, Louisville, Cincinnati, Key Largo, Biloxi, Tampa, Cleveland, Clearwater, Branson, Pigeon Forge, and Phoenix. Keep in mind that both the Greyhound bus and Amtrak train companies have stops in Kissimmee, so arriving by car is not essential. 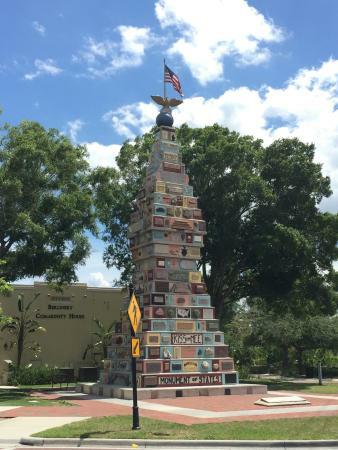 Kissimmee is very easy to navigate by car. West U.S. Highway 192 is where the largest concentration of attractions is located. 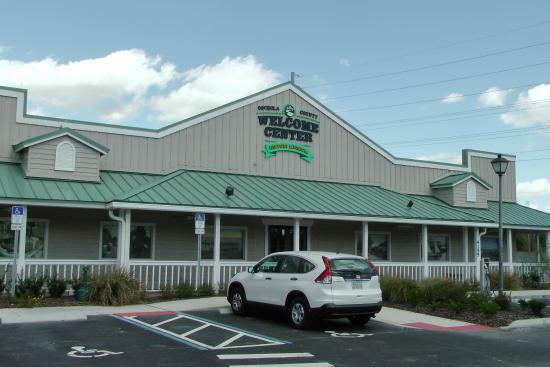 Many hotels and ticket centers around Kissimmee sell attraction tickets, and ticket packages. 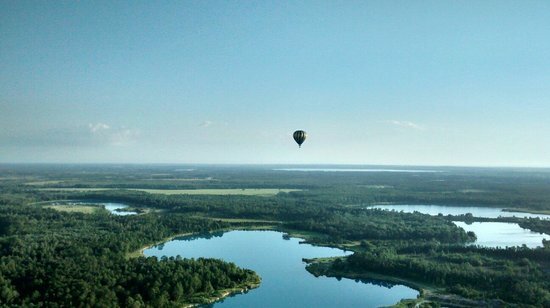 Start the day by getting your bearings, and what better way than to see Kissimmee from the sky! Thompson Aire is the absolute best way to do this; it's a family-owned company, and they provide excellent service. 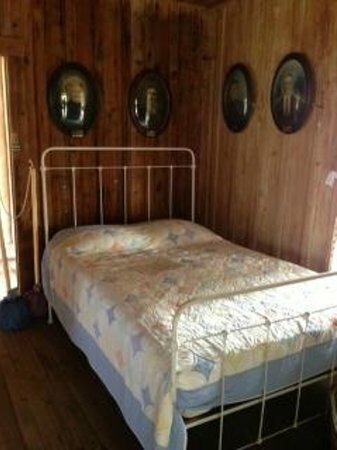 A full breakfast buffet is included! 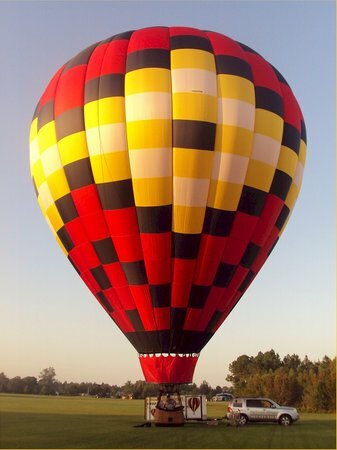 These balloons hold four to six people — seated! 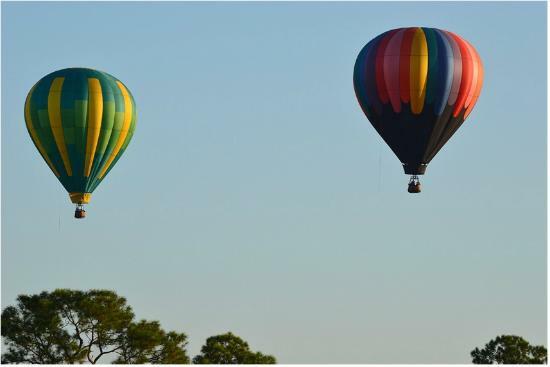 If a balloon ride isn't on the agenda, then a good land-based breakfast option is Joanie's Diner (also a great Kissimmee lunch spot.) The setting is fun, and the pricing is affordable. The diner is only open until lunchtime when it closes until they open for breakfast the following day. Try one of the daily specials. All delicious! 6:00 a.m. - 3:00 p.m. 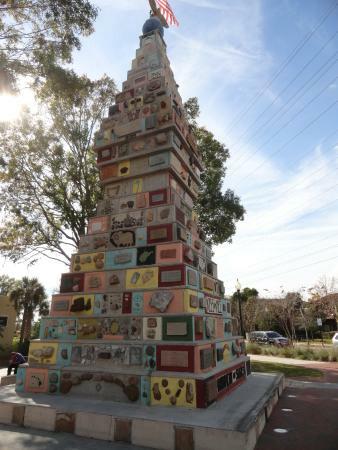 The Monument of States is a handmade piece of art which represents all fifty states. 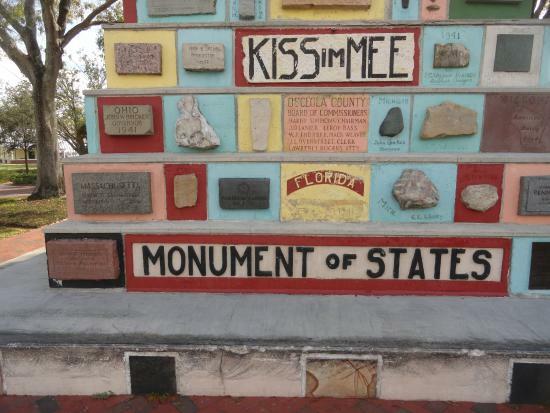 It stands 40-meters tall and is both eclectic and fun — how many states can you spot while you're here? This monument provides a great photo backdrop! Be careful if crossing the street by the monument. There's often a strong glare from the sun on the road here, and it's a notoriously dangerous spot. 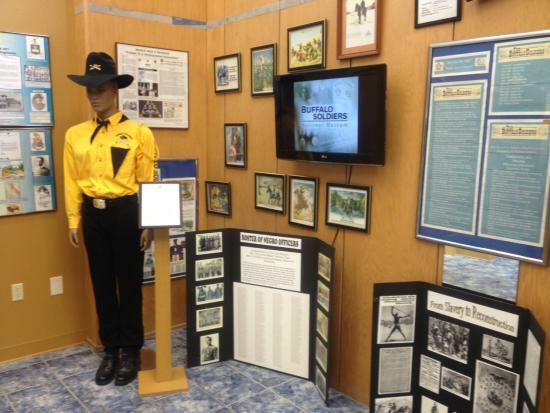 This welcome center, that also doubles as a history museum, is a great place to really orient oneself when visiting Kissimmee. 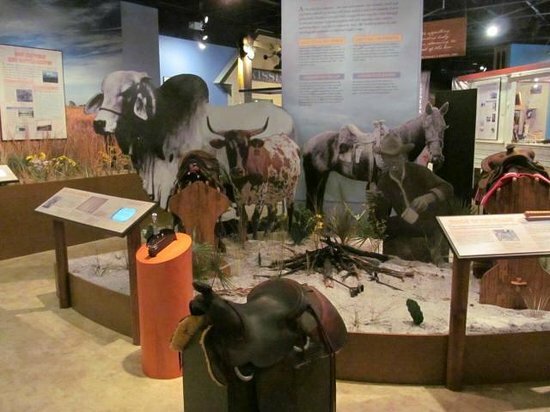 While this is a small museum, it is full of intricate exhibits on the history and wildlife of Kissimmee, and is well worth a visit — however brief. Entrance fees are by donation only. 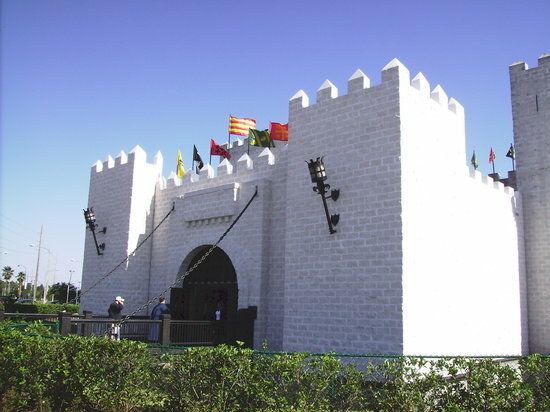 Be sure to stock up on brochures, and look for pamphlets that may include coupons or discounts for other Kissimmee attractions. 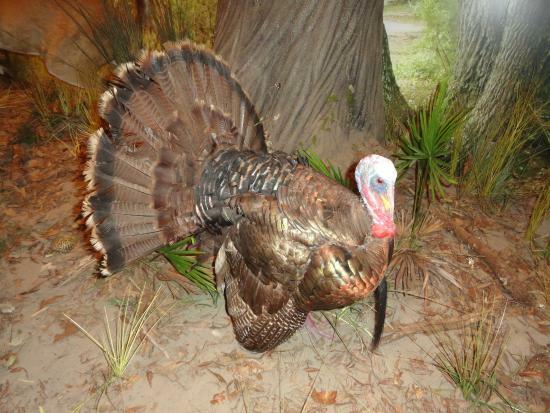 The Pioneer Village is a 'must see' for any history buff, but anyone with a bit of an interest is also sure to find this attraction insightful and fascinating! 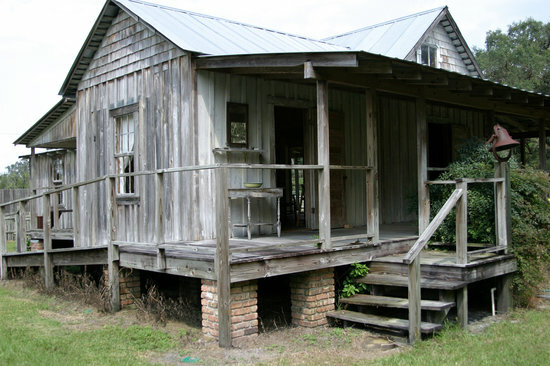 This village consists of authentic, historical structures that have been relocated from various places in Osceola County to form this enthralling attraction. 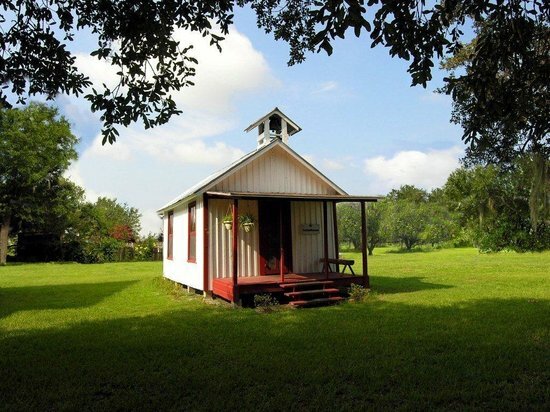 Guided tours are available, but most opt for the self-guided option, especially when on a tight schedule. There is also a nature preserve here. 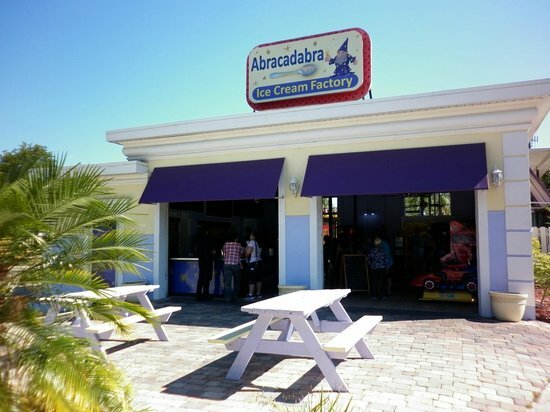 This Ice Cream Factory should not be missed when visiting Kissimmee! 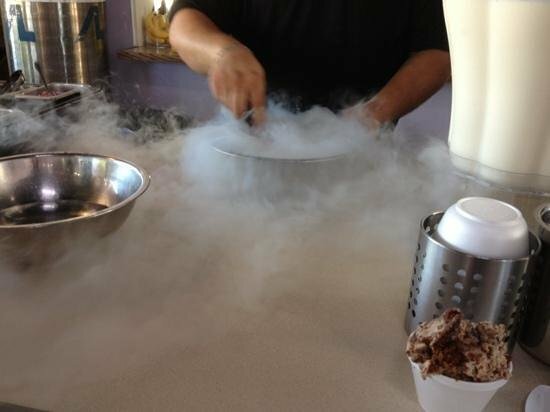 They utilize liquid nitrogen to freeze your ice cream, complete with your choice of mix-ins — meaning guaranteed entertainment for kids big and small. 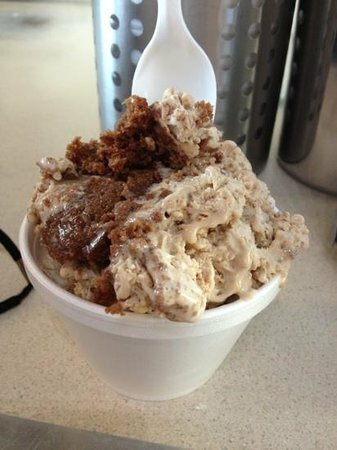 If you happen to be traveling on a birthday, you can sign up on their site for a free birthday ice cream! If you're craving something a bit more substantial than ice cream, they also offer pizza. 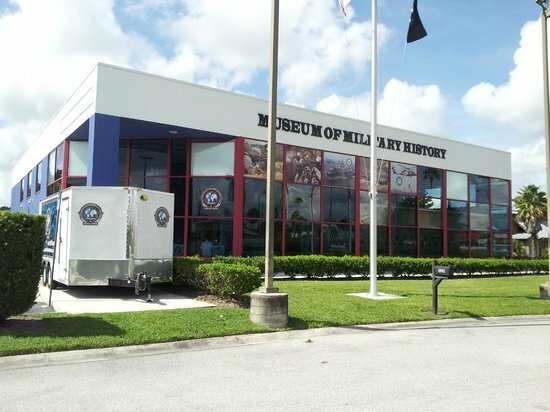 The Museum of Military History showcases artifacts that encompass conflicts dating all the way back to the Civil War. 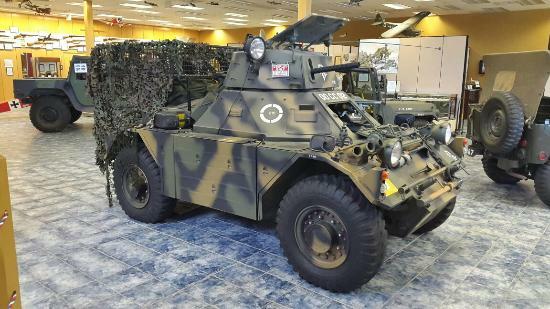 Expect to also experience moving accounts from former soldiers here. Check their calendar for special events. 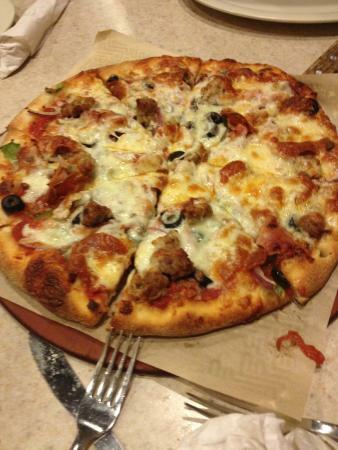 Flippers Pizza has been serving pizza for about 25 years, right out of their brick oven — fresh, hot, and delicious! 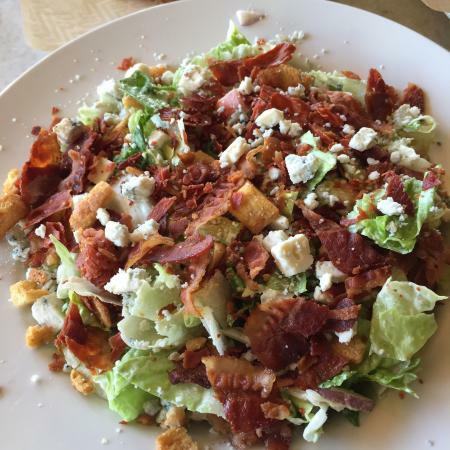 With many varieties to choose from, you may have to try more than one when you stop here for lunch. Flippers Pizza has a convenient location in Old Town. 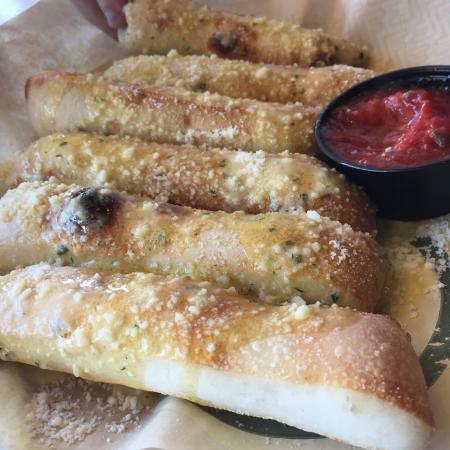 They also offer a good range of appetizers, pasta, salads, and bread-sticks. 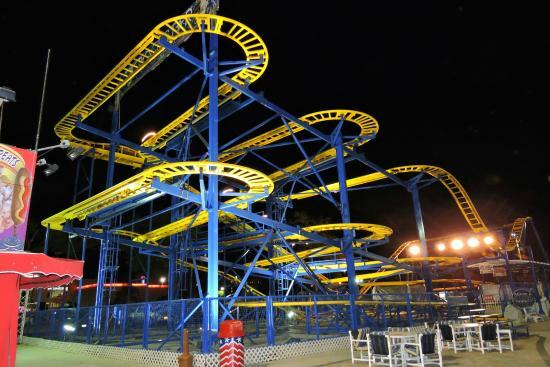 11:00 a.m. - 12:00 a.m.
11:00 a.m. - 1:00 a.m.
You may be wondering if each family adventure park is like the next, and the answer is a resounding 'No!' 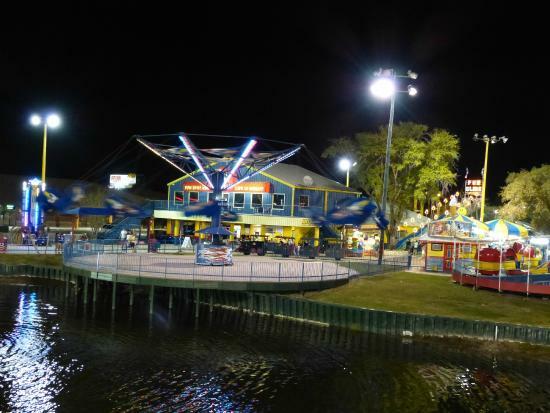 Stop into Fun Spot to see for yourself — it offers everything from roller coasters to live alligators! There is a second location in Orlando. 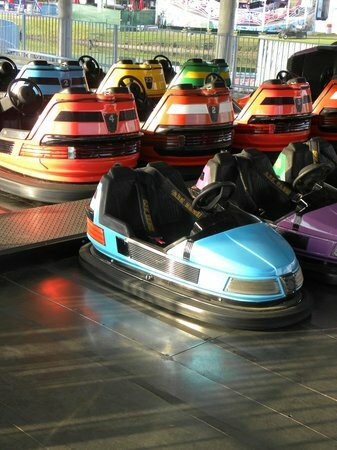 They offer day and season passes. 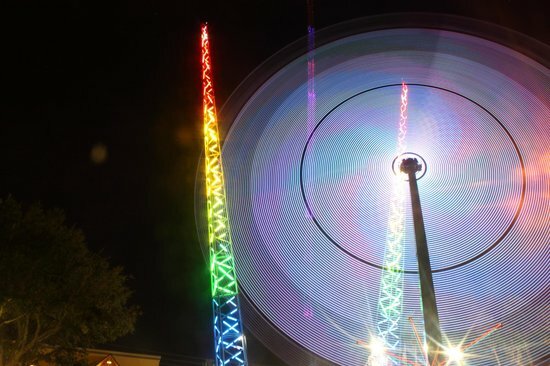 Old Town is an entertainment mecca, where you can choose to take a turn on thrilling rides, shop at over 70 stores, or dine in one of many tasty eateries. With so much to keep all ages and interests happy, it's easy to see why travelers flock to Old Town each year! 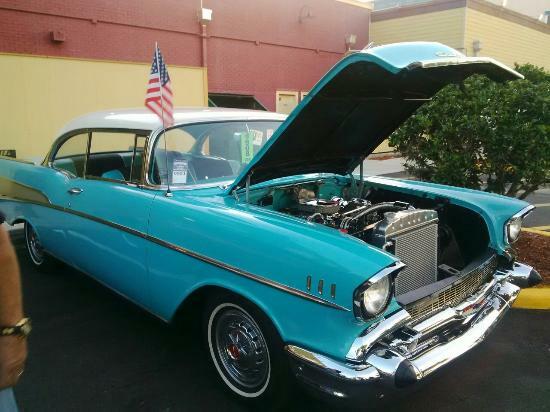 Old Town hosts weekly car shows. Check online for details. You can also find live music in this area. 10:00 a.m. - 11:00 p.m. 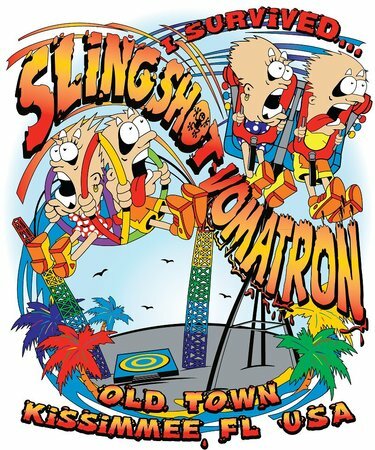 The Old Town Slingshot and Vomatron are extreme adrenaline rides that will leave you feeling either thrilled or petrified! 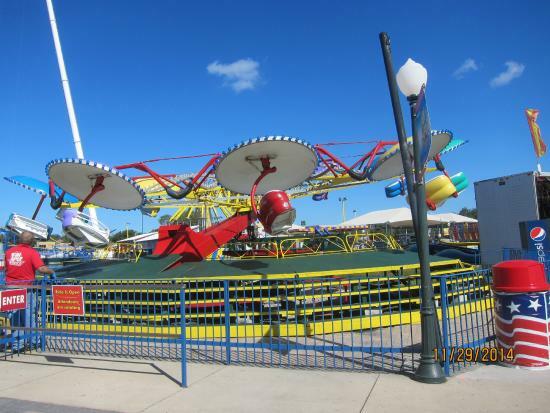 On the Sling Shot, expect to be seated and strapped into a circular structure, and then flung into the air and snatched back to earth — on repeat; while the Vomatron is like a gigantic propeller, with seats on each end, that spin very, very quickly. Do you dare? 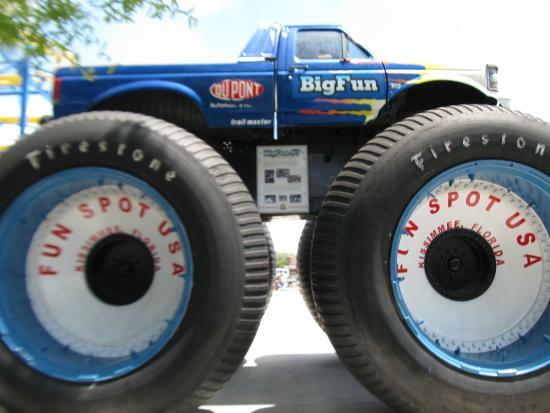 Be sure to check the age, height, and health restrictions, because they are in place for your ultimate safety. 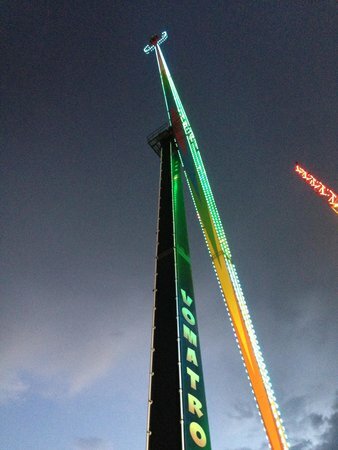 I would avoid riding either of these extreme rides on a full stomach. 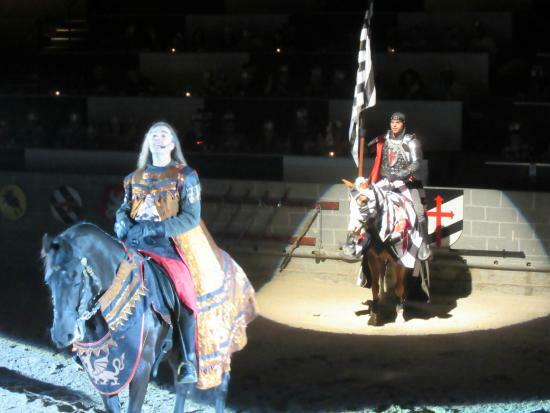 Medieval Times is a fun dinner theater that includes a show featuring competitive horse racing and jousting, plus a delicious meal — that guests must consume without the use of silverware! It makes for great family evening entertainment. You'll be assigned a country when you're seated, and then encouraged to support this team during the competitions. 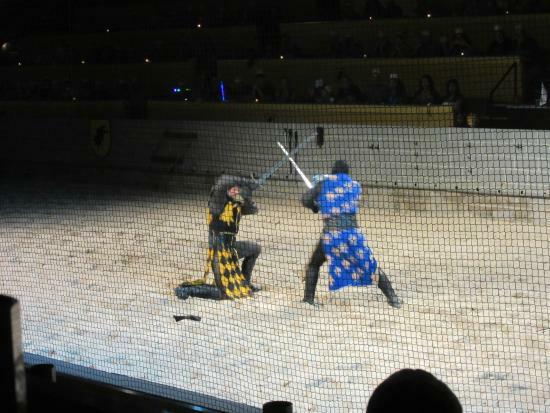 No video or photography is allowed once the show commences.